When I bring a Todd Parr book into a classroom with me, I know that I’ll hear lots of laughter, meaningful comments, and creative ideas! The colorful pages in each of Todd’s books bring alive imagination. 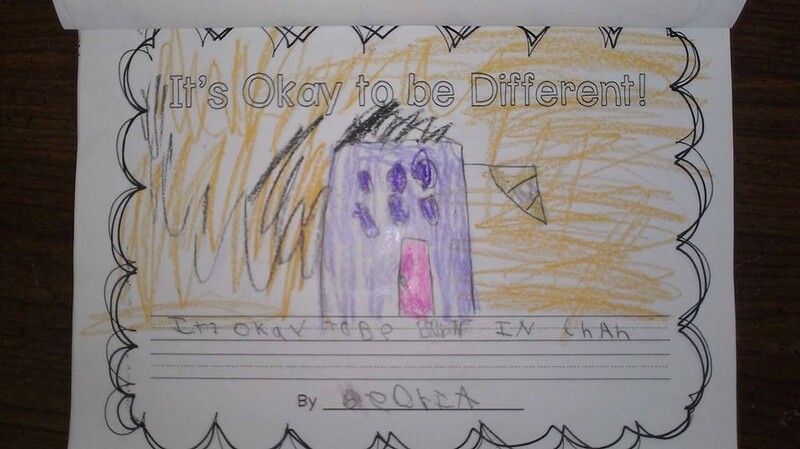 What I love about his books is how really important topics, like appreciating diversity and being tolerant of others, is conveyed in kid-friendly words and pictures. All of my K and 1st graders LOVED the book, as expected, but my 1st graders were definitely able to go further when making their own pages, showing a deeper understanding of the topic. After they finished their pages, I collected each and binded them together to create a book, which I shared with them the next time I visited their class. The pride on their faces when THEIR page was read aloud was priceless! 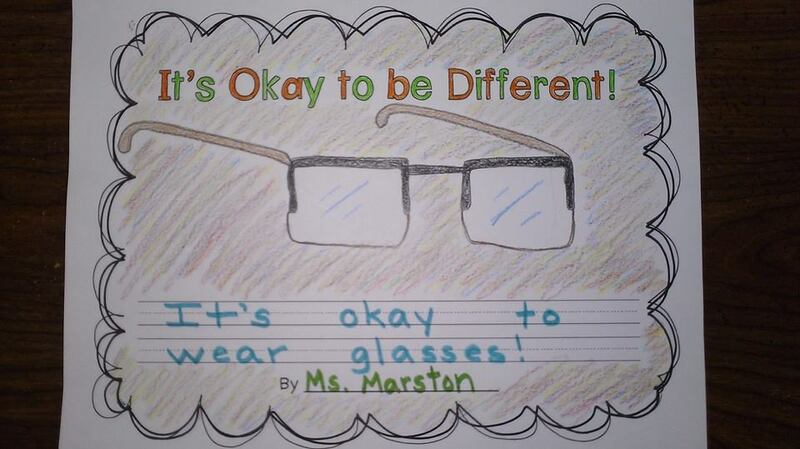 It’s okay to wear glasses! 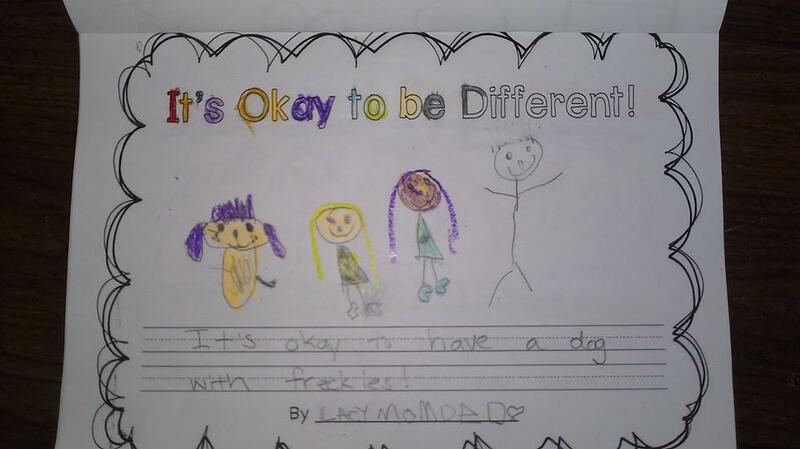 It’s okay to have a dog with freckles! 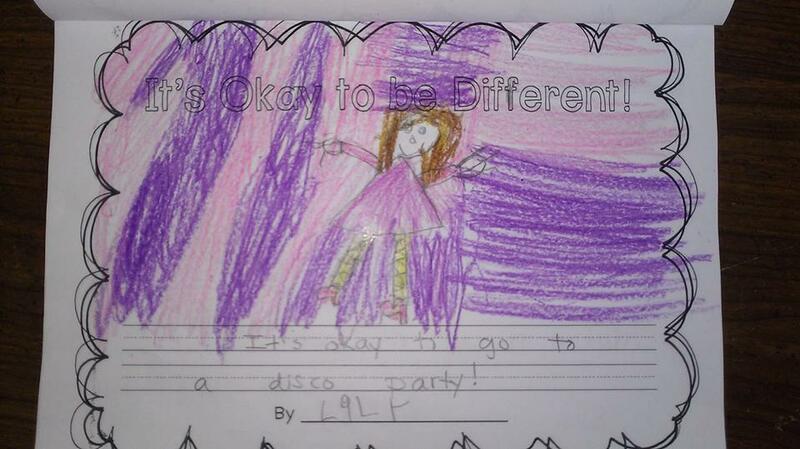 It’s okay to go to a disco party! 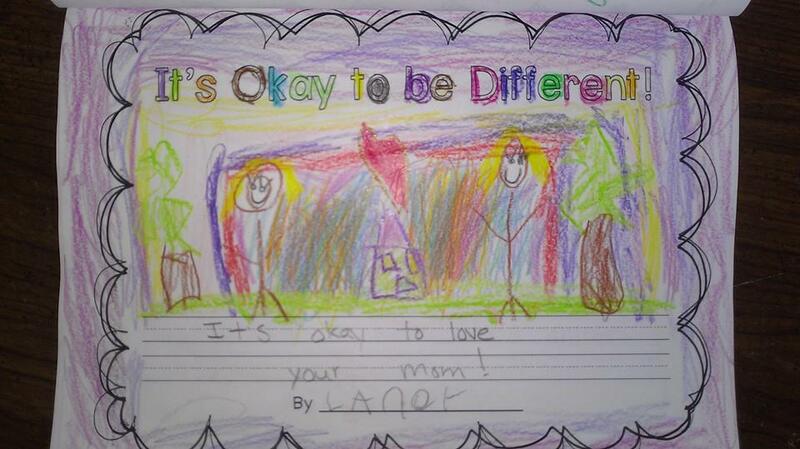 It’s okay to love your mom! 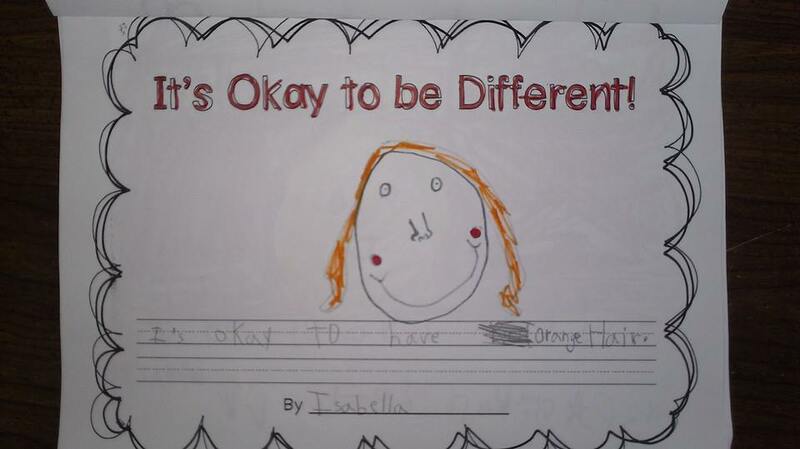 It’s okay to have orange hair. 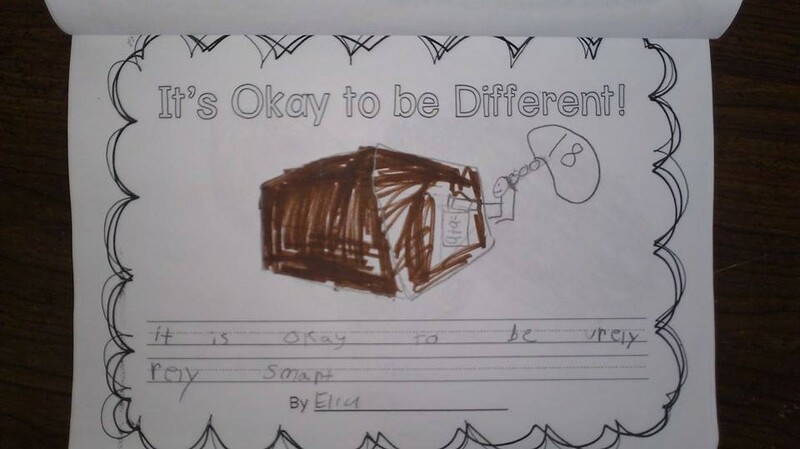 It’s okay to be really really smart. 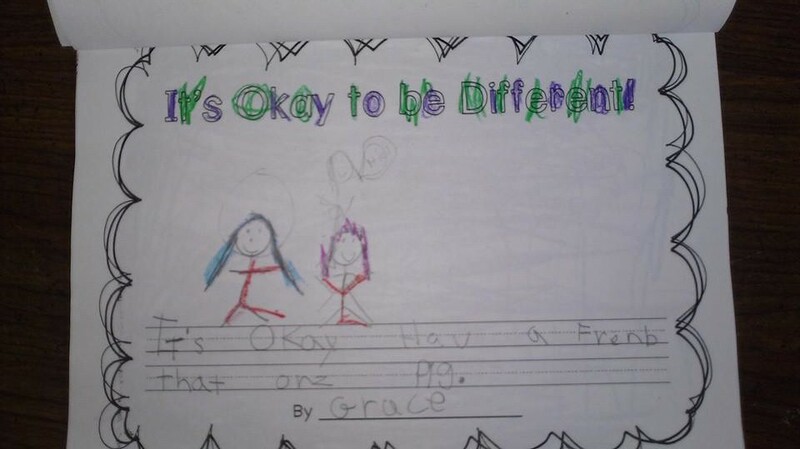 It’s okay to be born in China. It’s okay to have a friend that owns pigs. 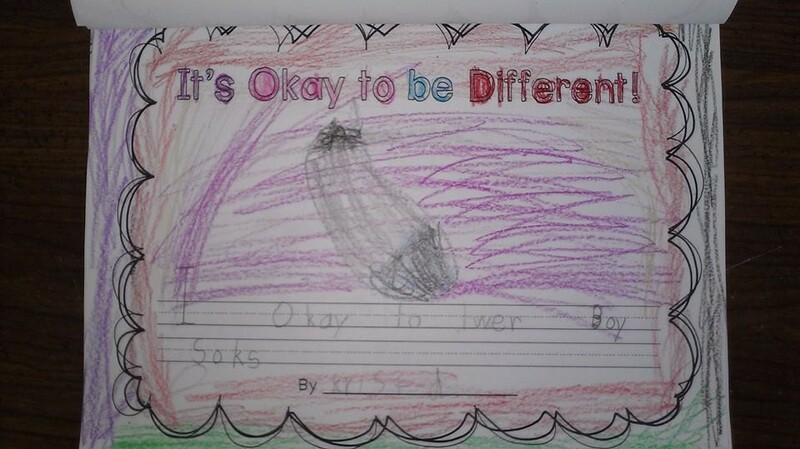 It’s okay to wear boy socks. Diversity and tolerance is one of my favorite units to teach because there are so many interesting books to read and activities to do. I’d love to hear how you teach diversity and tolerance with your students! Share below or on this blog’s Facebook page.